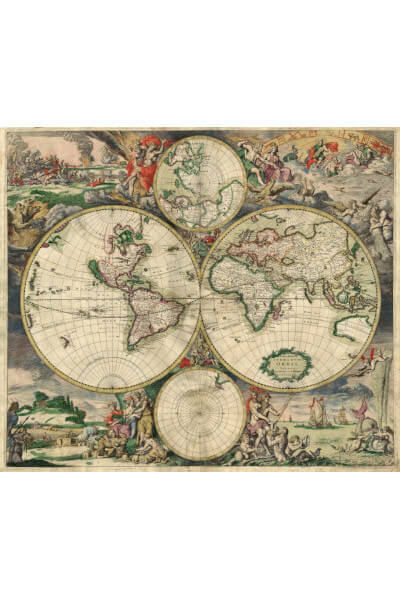 Gerard van Schagen produced this world map in 1689. It was first published in Amsterdam, using a copper engraving method and hand colored. Gerard van Schagen (ca. 1642–1724? 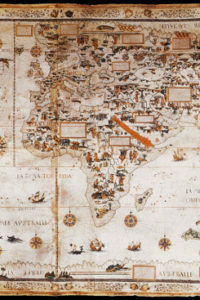 ), also known as Gerard Lucasz, or sometimes as Gerrit van Schagen, was a cartographer from Amsterdam, known for his exquisite reproductions of maps. This map will be shipped within 2 days, in a mailing tube. The time taken for you to receive the map after it is shipped will depend upon the shipping mode you choose, while completing your purchase. The rates applicable for each mode are different.